Edit design Soccer scarf USA , or create your design from scratch. 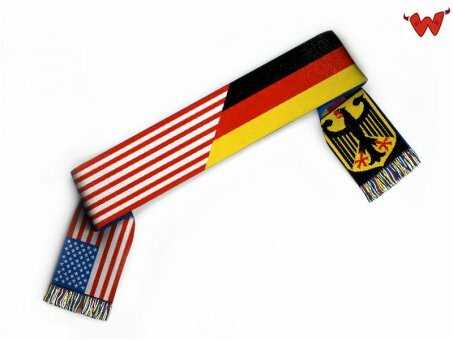 Celebrate the US soccer team with custom team scarves. Sports fans worldwide love the custom merchandise, made to order from 1 piece already at Wildemasche. 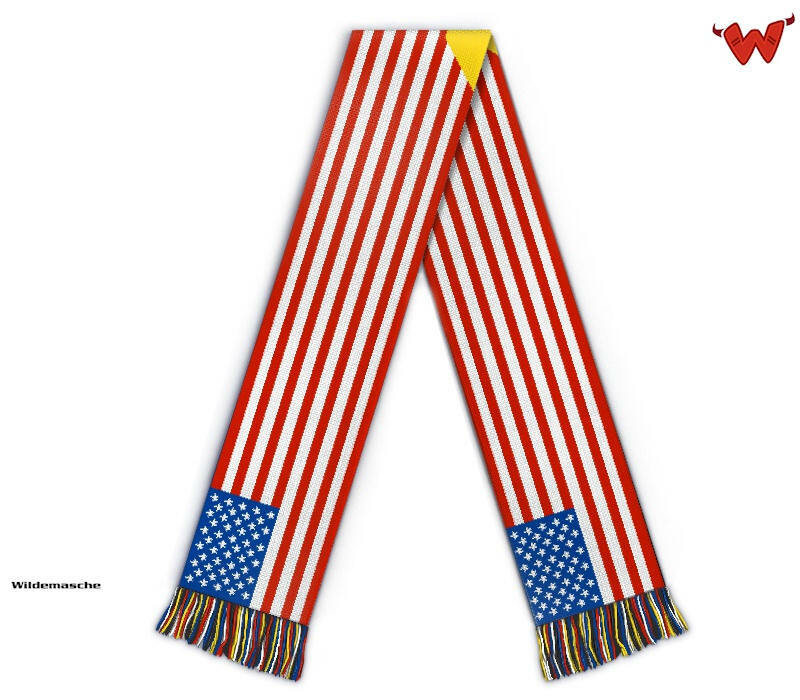 Design your official united states scarf with crest and text for your personal copa america.